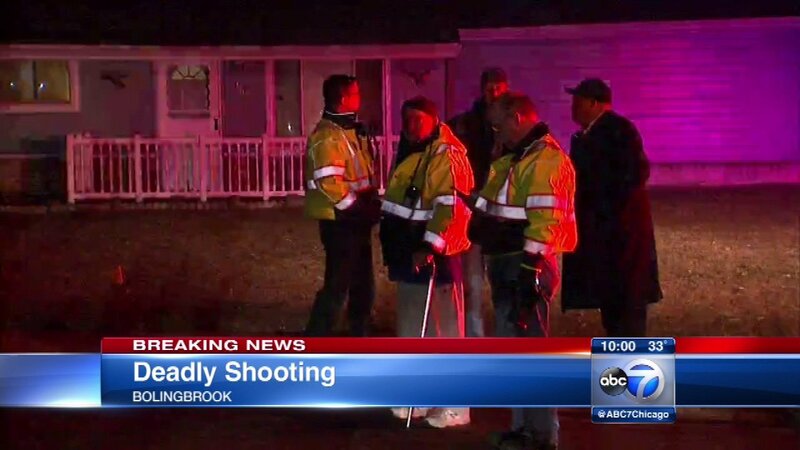 BOLINGBROOK, Ill. (WLS) -- One person was killed and a second wounded in a shooting Saturday evening in southwest suburban Bolingbrook, police said. Shortly after 7 p.m., police responded to a home in the 100-block of Cypress Drive and found a man dead from an apparent gunshot wound outside in front of the house, officials said. A second man was found shot and wounded inside the house. A large gathering of people were at the house after they attended a funeral in suburban Summit earlier in the day, Bolingbrook police said. The man found outside was pronounced dead at the scene. His identification had not been released Saturday evening, pending family notification. The second man was transported in critical condition to a local hospital. Neighbors said that people were gathered outside a home when they heard gunshots. Anyone with information is asked to call the Bolingbrook police at 630-226-8620 or Crime Stoppers at 630-378-4772.